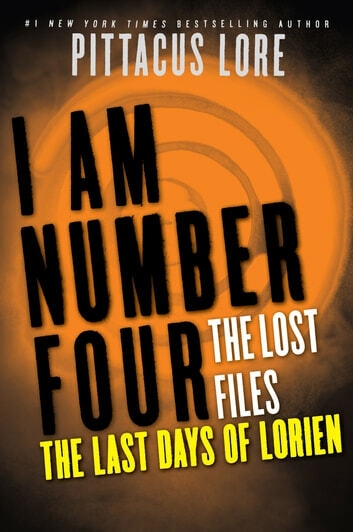 In this stunning 144-page prequel novella to the New York Times bestselling I Am Number Four series, discover what really happened in the final days of the doomed planet from the eyes of Sandor—who would go on to become the reluctant Cêpan to Number Nine. Sandor was tired of being a teenager, tired of going to school and obeying his teachers and playing by his parents' rules. He enjoyed breaking the rules rather than following them. But when he makes one mistake too many, Sandor's life takes an unexpected turn, and he is forced join the Lorien Defense Academy. Sandor had never believed in the crazy idea that Lorien needed to defend itself—Lorien was a peaceful planet, with no apparent enemies. But when Mogadorians suddenly attack, Sandor learns how real that threat was. Now Sandor is one of only a handful of Loric left alive, and the fate of Lorien is in their hands. I again loved the book and looking to see what’s next. This book was awful. It gives insight about Number 9's Cepan. It mention however, what brought about the destruction of Lorien! Do not waste your money on it. Wait until it shows up on the free list! You will already get this very information reading the other books.